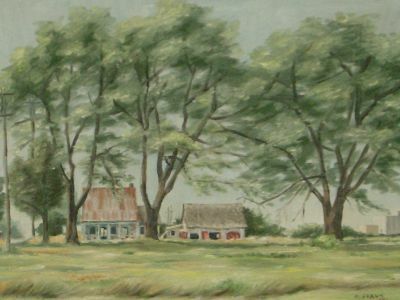 This is just one painting by my friend Jillibus — she did a whole series in the 1950s when she was living in Quebec, Canada. I took this photo of her work (and some others) while visiting this past weekend. I have her permission to share these with you, and will gradually load one at a time.